Building an audience across social media to promote listings is something that is seldom done well in Real Estate. We asked a couple of Real Estate social media experts, Andrew Duncan and Roar Kristoffersen for some easily actionable tips. The more accurate you are with targeting, the better your results will be. Experiment with targeting via Location, Demographic, Psychographic, and Interests on Facebook. Be specific with your messaging. Boosted posts and Carousel Ads are your best style of ad to use. Carousel Ads are like a preview of the listing, and boosted posts make your listing appear fresh and story-worthy. Digital advertising raises your profile with vendors and buyers alike, and is incredibly cost effective. Facebook is New Zealand’s second favourite leisure activity. 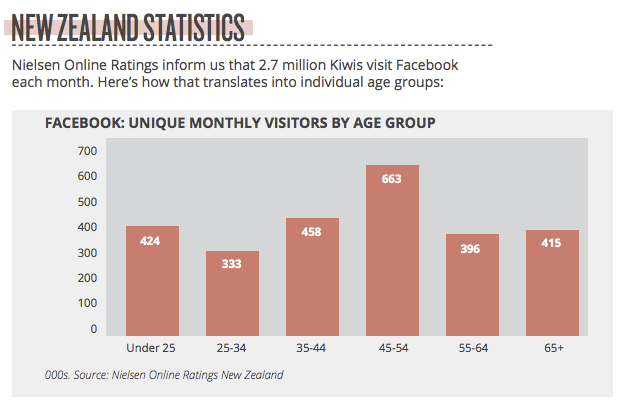 Check out this small look at how many NZer’s are using Facebook. In our previous post, we also explained what people are using Facebook for; exploring ideas relevant to them and connecting with brands and products. 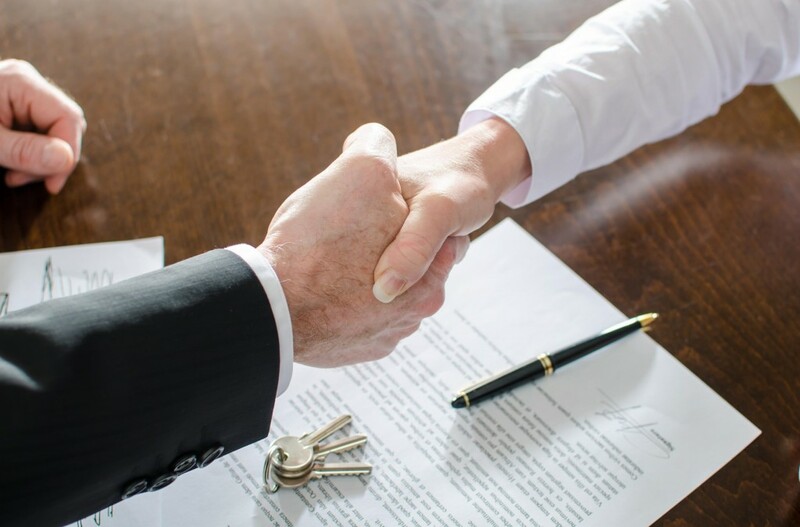 With this in mind, if people are looking at Real Estate using the internet, if they like any sort of pages related to home renovations, market data or any other property pages, Facebook allows you to target these people to an incredibly high detail. 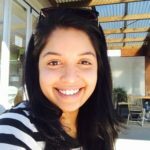 Roar explains that Facebook allows you to drive certain objectives to these people, whether it is gathering their email address, sending them to your listing or any other ‘conversion’ you can think of. Dollar for dollar, Facebook is one of the cheapest and most effective ways to reach your target audience. Before we get building an audience, you must first know everything about your listing. Ask yourself, who should purchase this house? Who is this house most suitable for? You must be as specific as possible. As agents are well aware, a first homebuyer has completely different priorities to a downsizing retiree. 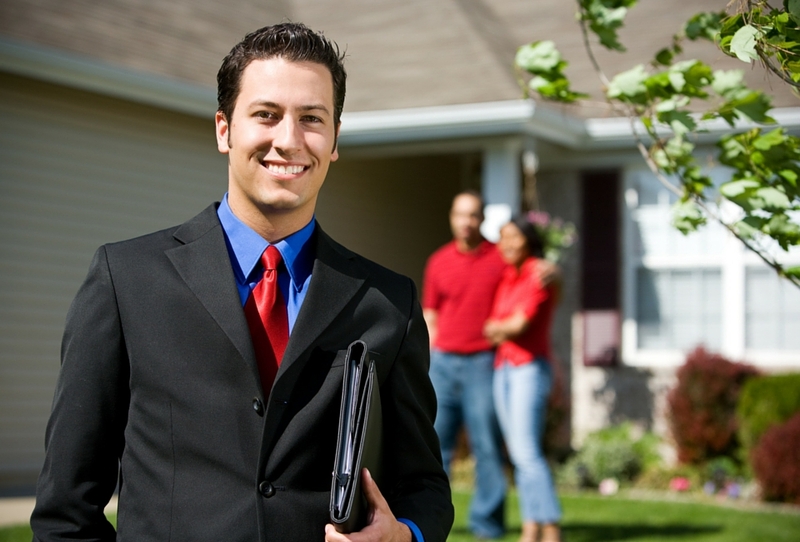 With your audience in mind, lets break down a typical First Home Buyer audience segment. Why should you be so targeted with your audience? As agents, you know what type of messaging works for different buyer segments. Choose your words carefully when promoting your listing. The optimum character counts for Facebook Posts is a mere 40 characters. You want your headline, and sub heading to encapsulate these, so people can click on more information on your listing. That brings us to our next section, how to create the ads that best utilise this. 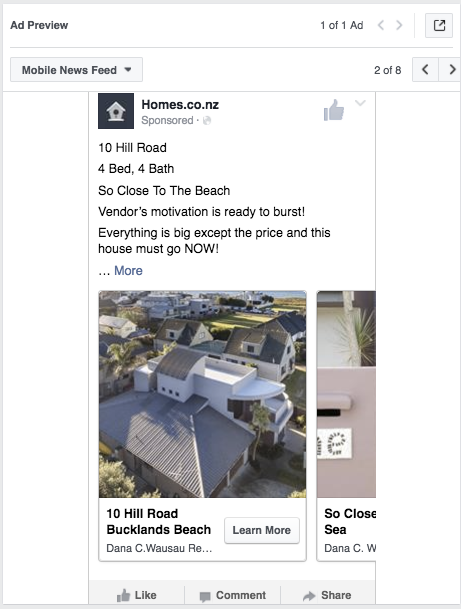 Here at Homes.co.nz, we test a whole lot of ways to best deliver listings for Real Estate Agents. These behave like posts in Facebook’s News Feed. Below is an example of what a Facebook Carousel Ad looks like. So why use carousel ads? Because they behave like a listing, but on Facebook. Buyers can swipe through photos like an online listing. It also provides ample space to put in your property descriptor. Best of all, it doesn’t cost more to add more photos. You can add up to 10 photos, and videos. Best practice for these is to use square images, and square video. Not ideal, but manageable. Don’t forget to use your new audience to promote them. Facebook boosted posts behave like stories in Facebook’s NewsFeed. The best media to use are either single images, or videos. Boosted posts are most effective when you can tell a buyer a short story or quirky feature about a property. The video above goes through a quick walkthrough on how easy it is to set up a post. 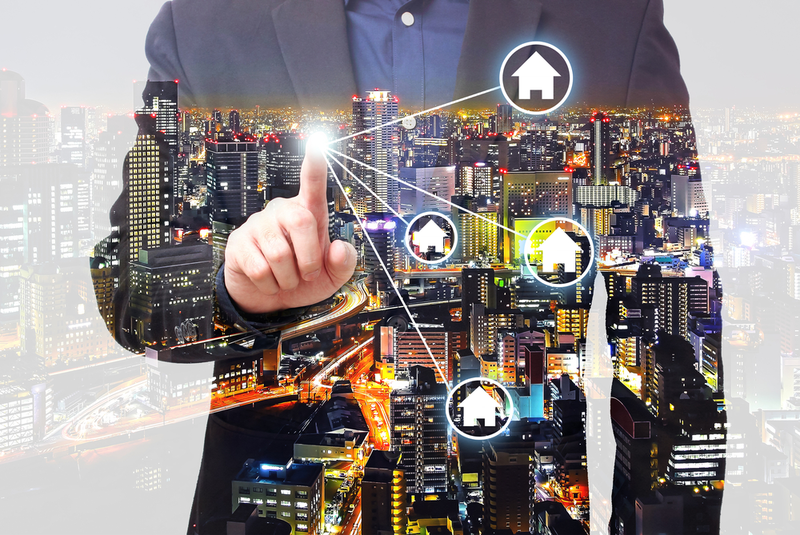 You will be seen as being in the forefront of real estate by using the latest promotional tools. Vendors will be happy to see you pushing the edges of marketing for your property, and targeted buyers will see your listings more. These tools are incredibly cost effective and hyper targeted. More so than other traditional media forms. Next Up: To find out more about how to leverage hyper targeted online marketing to build your own brand click below. I have learn several good stuff here. Definitely value bookmarking for revisiting. I surprise how much attempt you set to make this type of fantastic informative site.